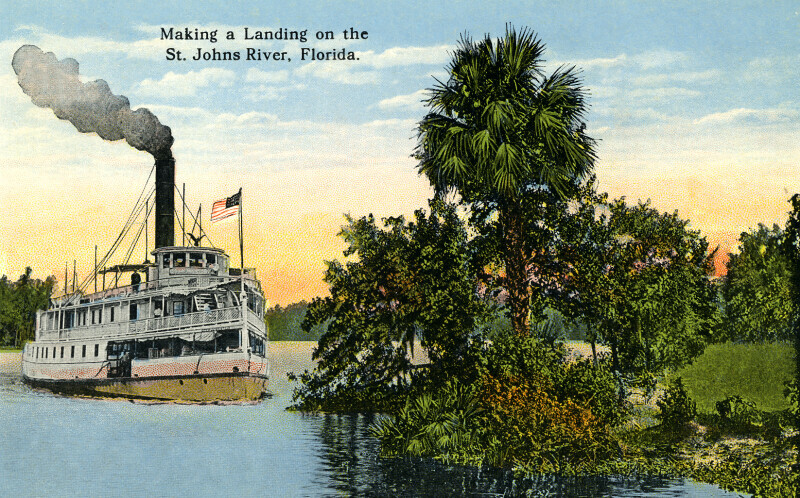 This scene shows a steamship on the St. Johns River. The caption suggests that the ship is going to land, but there are no docks visible. There is smoke coming from the ship's smokestack, and drifting to starboard. There is a man standing, on deck, beside the bridge. To the right, there is a palm tree, and smaller deciduous trees.